Fleetwood Mac News: Fleetwood Mac: You Make Listening Fun ! 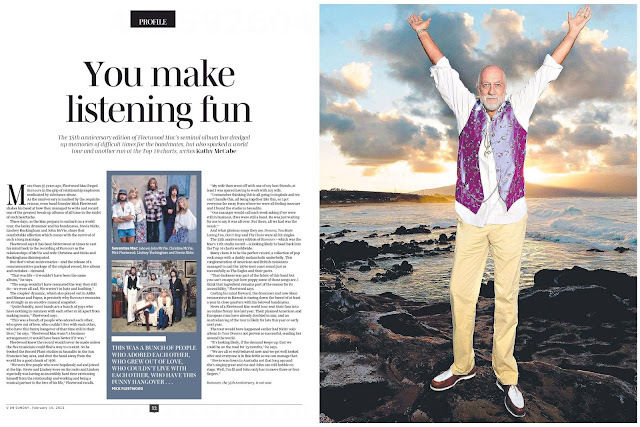 This 2 page article in today's Sunday Mail U Magazine has been making the rounds across Australia and New Zealand re-printed in multiple publications with various headlines. Thought this one was particularly cool for the picture of Mick... Which I hadn't seen before.